A 3,404-square-foot home at Luxus Germantown set a record price for a home sale in that area. Conversations about million-dollar-plus home sales in the Nashville area normally involve higher-end neighborhoods such as in Green Hills, Brentwood and Franklin. Now add Germantown after the last home at Luxus Germantown at the southeast corner of Fifth Avenue North and Monroe Street sold for $1.08 million Monday. "It's the most expensive home sale in the history of Germantown, the Capital District and the entire 37208 ZIP code," said broker Grant Hammond, who listed the single-family home at 1236 Fifth Ave. N. bought by Mark J. and Shannon K. Earl. Hammond, however, sees that record being eclipsed by two of the 10 homes that a luxury homebuilder plans to build nearby at the Gramercy Germantown site at Seventh Avenue North and Monroe Street. He attributes that area's appeal to being a walkable, historic neighborhood with character and charm, where the per-square-foot home sale price has risen sharply since Metro first announced plans in 2013 to build a ballpark for the Nashville Sounds at Sulphur Dell nearby. "With the ballpark now open(ing), we're expecting another significant escalation in prices in the surrounding area," said Hammond, who, besides Germantown, counts the area right around the new ballpark and the adjacent Salemtown, Historic Buena Vista and Hope Gardens neighborhoods in what's called the Capital District. "They're building smaller but more expensive homes that are highly amenitized." The record price for the 3,404-square-foot home in Germantown comes as Auction.com on Wednesday included Nashville in the top five of the nation's hottest single-family housing markets in terms of current and expected demand, price appreciation, and economic and demographic growth. Increased demand - which is expected to continue over the next few years - has spurred a 6.2 percent year-over-year rise in prices, the online real estate marketplace said. It also cited home sales here being up 4 percent from a year ago, expansion of local employment in 12 of the past 14 months and an accelerated growth in the population in each of the past four years. "Home prices have nowhere to go but up," said David McGowan, president of Regent Homes, citing high costs of developing sites among the expected drivers. In Germantown and the overall Capital District, home sales tripled and price per square foot of homes rose nearly 50 percent in 2013, Hammond said. Since then, sales have trended upward every year. 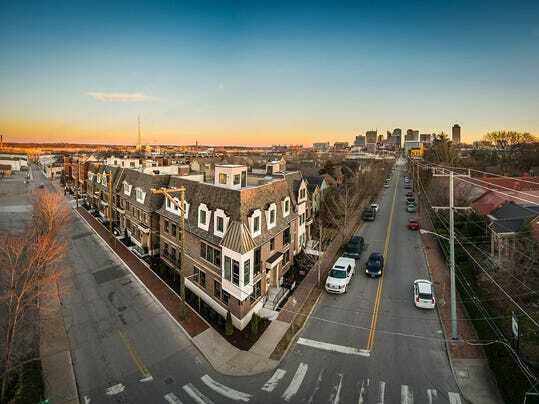 Before the latest sale at the Luxus Germantown development by Jim Creason of Trust Development, other properties sold in the past six months for $970,000 and $700,000. Although not every sale has posted a sharp jump, sales of at least two properties support Hammond's theory. One at 1819-B Fifth Ave. N. bought in November 2013 for $364,900 was just resold for $436,000, which equates to a rise of 1 percent a month. Another at 407 Van Buren St. bought for $249,000 in March 2012 resold in August for $360,000, which equates to a rise of 1.3 percent a month. Space-efficient work spaces are becoming all the rage these days. They're great for maintaining privacy and uninterrupted workflow, and they can also be cozy and stylish as well. Here are some examples of a growing trend of miniature studios (for offices and living structures), that are small enough to fit in someone's back yard. We're fond of calling them, shedquarters. Whether you need your own getaway space, an office, an art studio, or a full on extra home, there's something for everyone out there! Kanga Room: Based out of Austin, Texas, Kanga Room has backyard studios in three styles: modern, country cottage, and bungalow. The basic package is an 8Ã—8-foot shed that starts around $5,900 and you can add on a bathroom, kitchenette, and front porch for additional cost. Modern Shed: This Seattle-based company was founded by husband and wife, Ryan Grey Smith and Ahna Holder. They create flat-packed prefab structures. Basic 8Ã—10 sheds start at $6,900. Weehouse by Alchemy Architects: The Weehouse Studio was designed by Minnesota's Alchemy Architects. They start at 435 square feet, and include a main room and bathroom. It can be used as either a home office, guest house, or even a main residence. Modern Spaces: "Forts for grown-ups!" Yep, that's how they describe them. These come in four pretty boxy styles. A fully installed shed with a foundation and finished exterior starts at $6,000. On-site installation is currently only available to California residents. Modern Cabana: The sheds from this San Francisco company start at 10Ã—12 feet, but they have full studios with kitchens and baths. The basic model is perfect for a backyard office, with its sliding door. Metroshed: The MetroShed, by David Ballinger, is a prefab, flat-packed model that starts around $6,000. This a simple design is made of a cedar wood beam post frame with aluminum-frame sliding doors, and comes in 9Ã—13 feet or larger. This dated photo shows the property at 904 Buchanan St., owned by Kelly Bonadies, that will soon be home to Emil Erwin. In North Nashville, where Garfield Street turns into Buchanan Street, the city has placed a blue street plaque welcoming you to the Buchanan Street Business District. 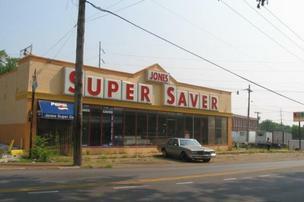 But business on the street, which is 0.6 miles from the ever-booming Germantown neighborhood, is almost non-existent. With the exception of Hair World, many of the commercial properties along the corridor are boarded up and vacant. At least two high-profile Nashville startups, Emil Erwin, a high-end leather goods maker, and Otis James, a company that handcrafts ties and hats, are moving their studios and production to a new development taking shape on Buchanan Street. According to sources, a handful of other home-grown creative businesses are slated to join them. The redevelopment of Buchanan illustrates two tensions brewing simultaneously in Nashville. On one hand, creative startups and solo entrepreneurs are in need of more affordable studio space, as areas in the urban core have been rapidly marked for luxury condos and Class A office space. On the other hand, gentrification has become a hot-button issue in the city, as lower-income residents are increasingly being priced out of revitalized neighborhoods like East Nashville, Germantown, Salemtown and The Nations. For similar reasons, many are watching how development plays out in Wedgewood-Houston. In the case of Otis James and Emil Erwin, both are leaving Marathon Village, the high-profile creative/maker neighborhood just outside of downtown. Marathon Village owner Buddy Walker confirmed this week that both businesses are on their way out. He already has a tenant signed up for at least one of the soon-to-be-vacant spots. It's easy to see the beginning of the redevelopment, which will impact multiple properties, that is happening on Buchanan Street. When you first cross over into the stretch of street, what used to be a boarded-up Super Saver grocery store that the city had marked for demolition has gotten new life with a fresh exterior and a set of new windows. The property, located at 904 Buchanan St., is where Emil Erwin is slated to move (you can take a look inside the new studio on the company's Instagram account). Both retailers declined comment for this story, though Otis James blogged about the move last month. "While nowhere in Nashville currently seems safe from the unimaginative, overpriced development that currently plagues this 'it' city, so far this area has maintained a certain sense of desirable 'grit.' And I hope it stays that way for some time," Otis James wrote. "For me, it offers a quiet, unhip and easily accessible destination where I can focus on creativity and sincerity. Off the beaten path is most often where the best treasures await, so come see us in the new location; it will be worth the trip." The driving force behind the Buchanan project is a resident of the neighborhood named Kelly Bonadies, who could not be reached for comment this week. According to Metro records, Bonadies applied to repair the building, which Metro dates back to 1935, in June 2014. According to property records, David Crabtree, of Nashville-based Brookside Properties Inc., also is involved in the project, though it is not clear to what extent. Crabtree could not immediately be reached for comment. Metro records show that Bonadies has bought at least six other parcels on the street, a mix of empty lots and vacant buildings, with some transactions as recent as last month. E.J. Boyer covers the Music City's tourism, hospitality and music business. As a small business owner, it is very important to me to support other small businesses and self-employed friends. I know the power of referrals and have been fortunate to rely only on them to grow my real estate business. So, I would like to pass it on and showcase a small business each month I have personally patronized that I love. My hope is that it may help grow their business and turn you on to someone you may not have previously known about. This month that busines...s is Katie Convertino and her children's clothing company, June Park (http://june-park.com). June Park specializes in handmade children's clothing that's simple, timeless, and really great quality. She incorporates a bit of fun and quirkiness into each individual piece by drawing on unique features, patterns, and colors. Her philosophy is that comfortable and fun clothing will allow a child to feel free to explore, imagine, and play while wearing June Park. Katie is very talented and her enthusiasm and creativity shines through in her work - check out June Park for some GREAT clothes for your kiddos! NASHVILLE, Tenn. (March 9, 2015) There were 2,091 home closings reported for the month of February, according to figures provided by the Greater Nashville Association of REALTORS®. This represents an increase of 12.6 percent from the 1,857 closings reported in February 2014. Year-to-date closings through February 2015 are 4,067, a 12.7 percent increase from the 3,636 closings reported through February 2014. "The home sales data for February shows just how strong the Middle Tennessee market has become," said GNAR President Cindy Stone. "While we have seen many months of positive increases, with the extreme winter weather our area faced last month, we were uncertain of the effect it might have on property sales. "Remarkably, the market was essentially not phased. As January did before it, this February saw its best monthly sales numbers since 2007." There were 2,458 sales pending at the end of the month, compared with 2,221 pending sales at this time last year. The average number of days on the market for a single-family home was 76 days. The median residential price for a single-family home during February was $206,000, and for a condominium it was also $163,125. This compares with median residential and condominium prices of $189,000 and $165,000, respectively, at this time last year. "Inventory remains the main challenge in the market, though we will see it uptick as spring nears. The hardest hit market, in regard to inventory, is the first-time buyer range. The inventory supply there is very low. For example, the absorption rate for single-family homes below the January median price of $215,000 just in Davidson County is 2.2 months. Using the same criteria, the absorption rate above the median was 4.8 months. By the time you get to the $600,000 and above range, inventory is plenty at an 8.9 month supply." The Greater Nashville Association of REALTORS® is one of Middle Tennessee's largest professional trade associations and serves as the primary voice for Nashville-area property owners. REALTOR® is a registered trademark that may be used only by real estate professionals who are members of the National Association of REALTORS® and subscribe to its strict code of ethics. THANK YOU so very much to all those that helped today with Adopt A Highway. 10 bags of garbage picked up, 4 miles covered, and all done in 2 1/2 hours! Once this ice melts and the ground thaws, local developers will begin building 98 town homes in The Nations, a fast-changing neighborhood in West Nashville. On Wednesday, an entity led by HND Realty paid $1.49 million for 2.9 acres along California Avenue and 57th Avenue North. Presently, it's part of the site where Nashville Lumber Co. operates. Wednesday's purchase means HND has pieced together about 6 acres for a project named West Mill. It is designed to be a mini-community with 98 town homes and a swimming pool. "It wasn't that long ago that I had a conversation with someone who said the west part of town was going to take off. I said, 'The Nations?' 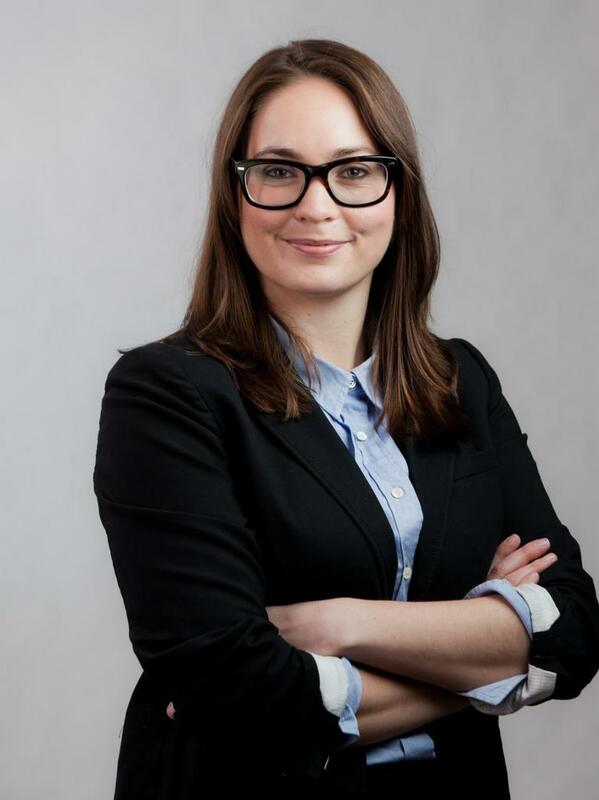 " said Kristin Hostettler, with HND Realty. "This has all happened kind of overnight; that's how it feels," Hostettler said. "I think we just got lucky with a giant piece of land that will actually get to be its own townhouse development. I suspect you'll be seeing a lot more homes like these." The first townhomes should be open in early fall, Hostettler said. HND is developing two types of residences: two-bedroom townhomes, each about 1,150 square feet, and three-bedroom townhomes, each about 1,425 square feet. Hostettler said she expects to list the two-bedroom residences for less than $200,000. The three-bedroom townhomes likely will be priced closer to $210,000, she said. Elizabeth Moss is in the middle of a total kitchen renovation at the Hendersonville home she bought on August 4, 2013. It's been a long time coming, and has included some anxious moments and worrisome decisions. And, as with all big ticket purchases car, boat, RV, vacation, remodeling or even a washer and dryer, depending on your budget for most of us, it takes financial planning, saving, comparison shopping and finally the nerve to take the plunge. Moss's story of big-ticket expenditure began in 2013, a few days after she moved into her new house. She woke up to standing water after a heavy rainfall and soon discovered the home had severe structural damage. Now, in 2015, she's going full speed ahead with the renovations. "We are back to all fixed, and I got some money back on my income taxes," she says. "I decided since that was a $75,000 loss to repair all of the downstairs, I wanted to put all the money I got back from the IRS back into the house to at least try to recoup some of that loss." As president and founder of Whole Care Connection, an in-home and senior care business, Moss's company actually grew during the recession, fueled by necessity as seniors were unable to sell their homes. Instead of being able to go to a continuous-care community, they looked to bring help in. "In 2010 we grew 48 percent, and in 2011 we grew 36-38 percent," Moss says. So while other people were cutting their spending and tightening their budgets, Moss kept spending. "I made a conscious decision I wasn't going to participate in all of the negative [reports] about the economy, so I started getting pedicures and doing things I had never done so I could help support the economy," she says. "I decided I wasn't going to pull back." And while Moss might be a bit nervous about spending so much money all at once, it is certainly not enough to keep her from moving forward. 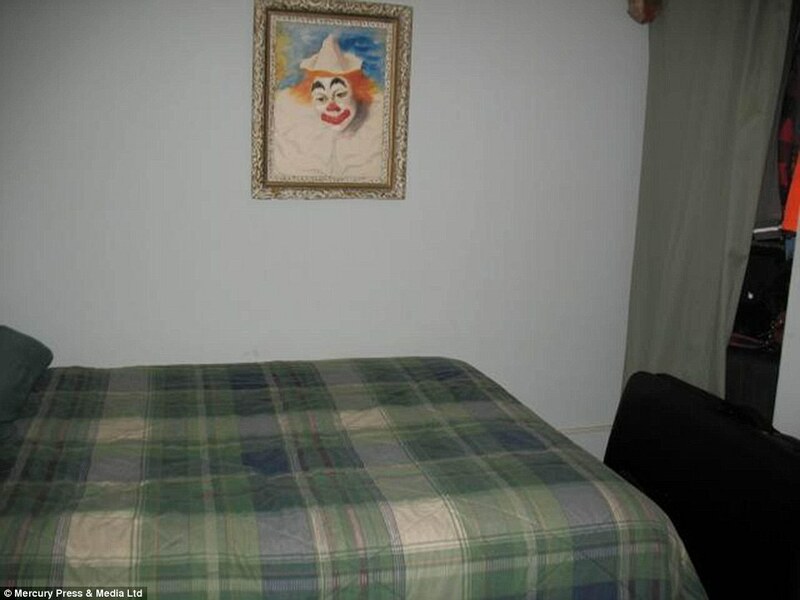 "With the renovation, I am confident," she says. "I have the income, just not the cash saved up. I feel like I am going to buckle down and get it paid off, and still have a savings." Moss is not the only one who's OK with spending money on big-ticket purchases these days. Gallup's U.S. Economic Confidence Index last month was positive for first time since before the Great Recession began in December 2007. And while spending typically drops significantly after the holidays, consumer confidence seems to be persisting, thanks in part to lower gas prices. Lisa Ford with Style Exchange has been designing homes in the area for the past decade. She says she never went through a slow time, but can now see an uptick in spending. People are going for big-ticket splurges, she says, but thinking much more carefully about it first. 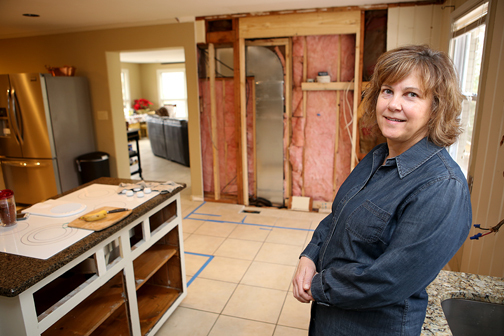 Elizabeth Moss of Hendersonville is in the process of having her kitchen renovated. Many Middle Tennessee homeowners have moved past "needs" to "wants" in their remodeling projects. "There are still jobs, and there are new jobs, but they have changed dramatically," she says. Ford says for a long time the price of particular items seemed to be no object, as long as it was exactly what the homeowner wanted. "It was nothing for people to spend $100,000 in a kitchen, and for a lot of the new communities that is still nothing," Ford explains. "But for the vast majority, and especially for the people who can actually afford it, they have changed. "Instead of spending $100,000 dollars, they want to spend $40,000-$50,000, which is still a significant amount of money." "But by the time you look at things like appliances, materials, new flooring, countertops, plumbing fixtures, all of those things add up really quickly," she continues. "The change is that more people want to get value. And even if they spend more than they had anticipated, they want to at least feel like they haven't overspent, and that is a big change. For a while it was like people didn't care." Ford says her client base has changed, too. They have more varied wants and budgets, and they look at home renovations now as a necessity, not as a luxury, like it was when she was growing up. "It is not a necessity, but from their perspective it is," Ford says of renovations. "I have heard people say they can't live without this or that. And in a part of their mind, they really can't. "I am always so happy that people are driven and feel that way about it, but on the same token, I am used to what I grew up with and what I do for myself." Ford lives in a 1920s-era home and takes on projects when she can afford them. When it comes to spending big bucks, there's more to life than a new home or SUVs. There's also status and entertainment. GeorgeAnn Dingus, the sponsorship and business development director of the Iroquois Steeplechase, which runs its 74th race in May, came on board with the popular horseracing event five years ago. She immediately began to look at opportunities to supplement seating to the exclusive box seats, for which there is a 10-year wait list with nearly 500 fans longing for the chance to enjoy the race in style. "The tradition and history of Steeplechase has always been a popular event here, but when I came in, I realized there were certain areas that could definitely have some growth opportunities the way that Nashville is growing," Dingus says. The Iroquois Steeplechase is one of many area charity events benefitting from the economic upturn. The newly added Skybox Suites go for $25,000 and can accommodate 50. "The 20 to 40 age group for instance, a lot of them had aged out of the tailgating but were not quite ready for the box seats, and there weren't a lot of choices in between." 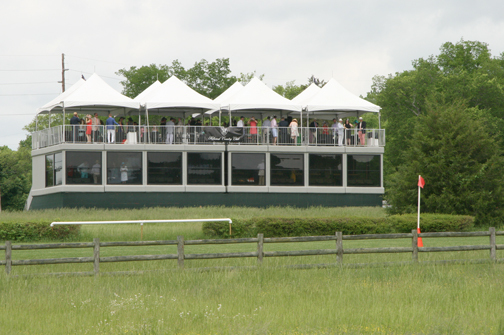 The Steeplechase added private spaces with Tents in the Turn, an exclusive area located rail-side in the infield portion of the Meadows. New last year, each tent includes an extended patio area, white picket fence, tables, linens and chairs and access to separate bathroom facilities. Guests can choose to have their party catered or bring a picnic of their own. Each space accommodates 30 to 140 guests, ranging in price from $4,000 to $12,000. Also new last year were the Skybox Suites, which offer a panoramic view of the track from a private, elevated luxury suite and covered deck. Each suite has air conditioning, hardwood floors, granite counter tops, wet bars, a private bathroom, TVs and an incredible view. Starting at $25,000, they can each accommodate up to 50 people. "It is very comparable to Millionaire's Row up at the Kentucky Derby," Dingus says. "The event has grown. I don't think we could have done it four years ago. "Nashville itself is phenomenal in that we have continued to thrive. We have added the Iroquois shops with high-end retailers. Our goal is to make the race day experience better each year. We are a one of a kind event in this area and it still benefits the children's hospital." Since being designated in 1981 as the official charity of the Iroquois Steeplechase, the Monroe Carrell Jr. Children's Hospital at Vanderbilt has received nearly $10 million from the event proceeds. Middle Tennesseans aren't just contributing to charities by going to amazing events. According to a recent survey by Lifeway, 74 percent of Protestant churches reported offerings are at or above 2013's totals. "That is a new dynamic because people tend to cut across the board when times are tough," says Dana Moore, a principal with HMS Investments in Nashville. "The churches and charities in particular have really struggled coming out of the recession with donor fatigue, trying to get people to come back and donate. This is a good sign people are doing well." Moore also counts cranes as a measure of how well we are doing right now they are almost too many to keep straight and notes many of her business-owning clients are reporting employee 401K contributions are up. "I have even seen smaller companies who may have matched [funds] in the past that stopped their matching [now] have started to resume their matching," she says. "A company will cut its employee match before it will cut an employee. So that is an easy cost savings and a healthy sign that the economy is improving. Companies are making enough now that they feel they can make that contribution." Mike Post has been selling real estate in Nashville for nine years, starting his own firm, Post & Co., about a year and a-half ago. To say it has been a tumultuous time is a bit of an understatement. "It has been a strange nine years in a good way," Post says. "When I got into this business, for the first year it was gangbusters, and everything was flying off the market, with multiple offers. "And then, of course, the Great Recession,'' he notes. "Things slowed down, and it took forever for things to sell after price reductions and foreclosures. And then, very cautiously, the market took a while to take back off, but it is like everyone realized it all at once. 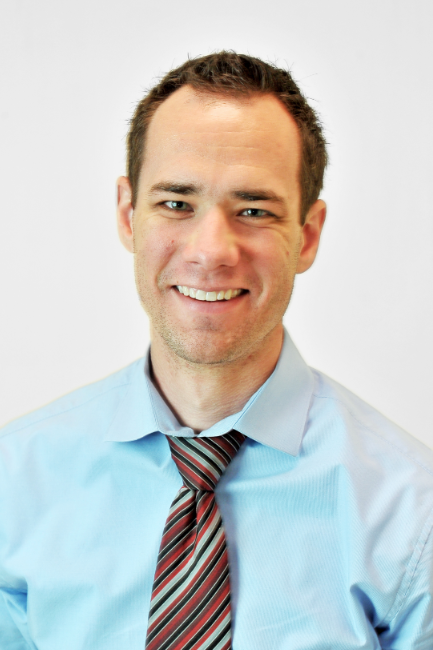 "I think if you talk to most real estate brokers, it is great to be busy, but it is crazy." Post says in the hot, pre-recession market there were still only a few sought-after areas to buy, but that has all changed too. "Right now, we have in so many different little pockets of Nashville, inventory shortages where you have far more buyers than sellers," Post says. "We are back to multiple offers, and things selling over list price. It can be disheartening for buyers who just want to buy a house, but have to make offers on five different things before something sticks. That's a hard process." Post says 2013 was the year people really breathed deeply about the local market. Business was good and people were building again. "Last year it doubled from that," he adds. "And it is not reckless spending. In 2006 you could go in and get what we call a liar's loan with a social security number and basic verification of stuff. Now people are spending again, buying big beautiful things, but it is not quite as reckless." Confidence in spending is what Post attributes to a big part of the uptick, but there is more to it than that. "It is not just low interest rates, it is not just that the New York Times likes to write about us, it is all of this stuff at once," Post says. "And it is a good problem to have. A lot of other places wish they had it." Of course, people who were burned in the not-so-distant-past housing crash are still a little hesitant to buy. "People are really antsy to start spending, but I still think there is a little bit of hesitation," says CPA Jennifer Lineberger. 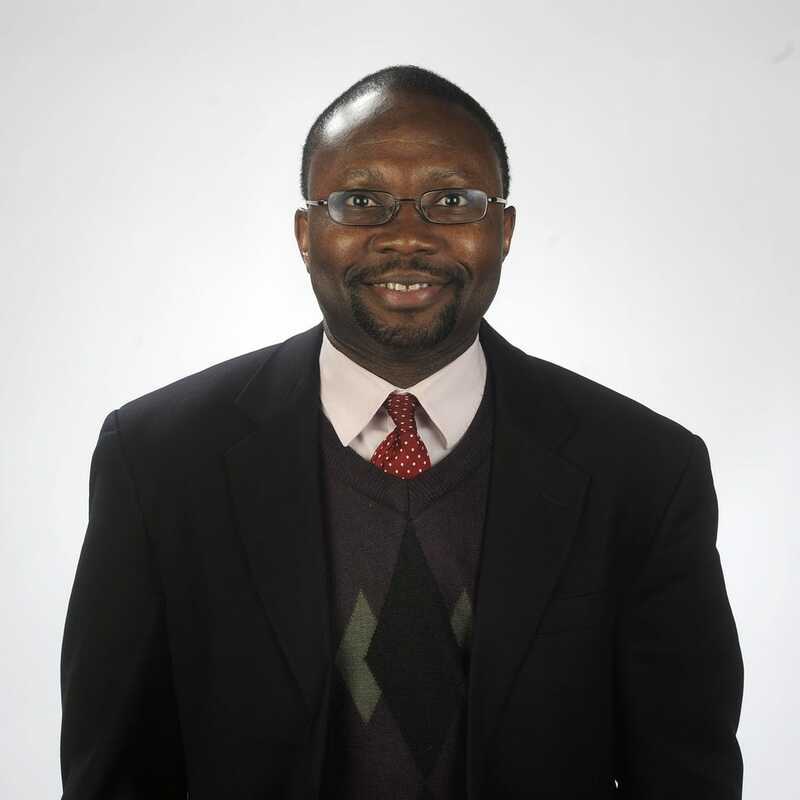 "I think people who got caught in this economic downturn are a little gun shy. At a certain income level you are kind of recession proof, but that doesn't apply to the vast majority people. But it does to some, and a sizable group of people in Nashville. And then there are some people who are going to spend whether they have it or don't have it." Loans are easier to come by, which might account for some of the increased home sales activity. "We are seeing a loosening of credit guidelines," says Tim Davis, a mortgage lender who spent recent years consulting others on how to change their approach after the crash. "Guidelines got really, really tight right after the crisis because the financial markets were a complete wreck. Today, you see it is much easier to get a mortgage in terms of credit standards." And, it is much easier for Middle Tennessee's many artists and entrepreneurs to secure lending these days as well, something Davis says is very much needed here. "At one point, there were just a handful of people to choose from and that blocked a lot of people out of the market, but we have seen a resurgence of creative and additional lending products which has been nice to see," he says. "Confidence is coming back for sure, and if people are more confident, they will take some more risks, and I see that as a huge opportunity," Davis adds. The other reason sales are so brisk is that current rates are in the three percent range, and people are nervous they are going to miss their chance to buy before they increase. "If interest rates go up, which a lot of people expect some time later this year, then what you will see are people being able to afford a less-expensive house," Post says. With each new Post & Company listing, sellers share specifics that highlight the home's charm and uniqueness. And we then create a customized "Home Movie" to showcase the home's story. THOSE details are often what prospective buyers want to know the most. The listing featured below sold in one day. Here is one example of a Post & Co. "Home Movie". Zillow CEO Spencer Rascoff, shown in his downtown Seattle office, says Zestimates are "a good starting point" but that nationwide Zestimates have a "median error rate" of about 8%. When "CBS This Morning" co-host Norah O'Donnell asked the chief executive of Zillow recently about the accuracy of the website's automated property value estimates - known as Zestimates - she touched on one of the most sensitive perception gaps in American real estate. Zillow is the most popular online real estate information site, with 73 million unique visitors in December. Along with active listings of properties for sale, it also provides information on houses that are not on the market. You can enter the address or general location in a database of millions of homes and probably pull up key information - square footage, lot size, number of bedrooms and baths, photos, taxes - plus a Zestimate. Shoppers, sellers and buyers routinely quote Zestimates to realty agents - and to one another - as gauges of market value. If a house for sale has a Zestimate of $350,000, a buyer might challenge the sellers' list price of $425,000. Or a seller might demand to know from potential listing brokers why they say a property should sell for just $595,000 when Zillow has it at $685,000. Disparities like these are daily occurrences and, in the words of one realty agent who posted on the industry blog ActiveRain, they are "the bane of my existence." Consumers often take Zestimates "as gospel," said Tim Freund, an agent with Dilbeck Real Estate in Westlake Village. If either the buyer or the seller won't budge off Zillow's estimated value, he told me, "that will kill a deal." Back to the question posed by O'Donnell: Are Zestimates accurate? And if they're off the mark, how far off? Zillow CEO Spencer Rascoff answered that they're "a good starting point" but that nationwide Zestimates have a "median error rate" of about 8%. Whoa. That sounds high. On a $500,000 house, that would be a $40,000 disparity - a lot of money on the table - and could create problems. But here's something Rascoff was not asked about: Localized median error rates on Zestimates sometimes far exceed the national median, which raises the odds that sellers and buyers will have conflicts over pricing. Though it's not prominently featured on the website, at the bottom of Zillow's home page in small type is the word "Zestimates." This section provides helpful background information along with valuation error rates by state and county - some of which are stunners. For example, in New York County - Manhattan - the median valuation error rate is 19.9%. In Brooklyn, it's 12.9%. In Somerset County, Md., the rate is an astounding 42%. In some rural counties in California, error rates range as high as 26%. In San Francisco it's 11.6%. With a median home value of $1,000,800 in San Francisco, according to Zillow estimates as of December, a median error rate at this level translates into a price disparity of $116,093. In Carlsbad, Calif., Jeff Dowler, an agent with Solutions Real Estate, did a similar analysis on sales in two ZIP Codes. He found that Zestimates came in below the selling price 70% of the time, with disparities ranging as high as $70,000. In 25% of the sales, Zestimates were higher than the contract price. In 95% of the cases, he said, "Zestimates were wrong. That does not inspire a lot of confidence, at least not for me." In a second ZIP Code, Dowler found that 100% of Zestimates were inaccurate and that disparities were as large as $190,000. So what do you do now that you've got the scoop on Zestimate accuracy? Most important, take Rascoff's advice: Look at them as no more than starting points in pricing discussions with the real authorities on local real estate values - experienced agents and appraisers. Zestimates are hardly gospel - often far from it. NASHVILLE, Tenn. (Feb. 9, 2015) There were 1,976 home closings reported for the month of January, according to figures provided by the Greater Nashville Association of REALTORS®. This figure is up 11.1 percent from the 1,779 closings reported for the same period last year. "This was the strongest January our market has experienced since 2007," said GNAR President Cindy Stanton. "While our market began making positive strides in 2013, last year was monumental in establishing a stronger foundation for our market. "While we are certainly moving in the right direction, challenges still remain. The biggest being the low level of inventory. This is particularly true of the first-time buyer and affordable markets. However, moving into the spring selling season we expect to see more available properties appearing on the market." There were 2,204 sales pending at the end of the month, compared with 1,979 pending sales at this time last year. The average number of days on the market for a single-family home was 77 days. The median residential price for a single-family home during January was $215,000 and for a condominium it was $172,250. This compares with last year's median residential and condominium prices of $195,000 and $165,000, respectively. "It is not too soon to begin the process of readying and placing your home on the market," added Stanton. "Despite the mix of wintry weather, our area is seeing terrific activity. Getting a jump-start on the spring selling season is a definite bonus for any property owner who has made the decision to sell. Your Realtor will be able to quickly assess the best opportunity for your property." * Please contact Mike Post with Post & Company Real Estate for showing instructions. Exciting news! Post & Company has partnered with the Tennessee Department of Transportation and the Adopt-A-Highway Program and will now be maintaining the two mile stretch on Franklin Road from Battery Lane going south towards Hogan Road. We also will be maintaining Hillsboro Road from Timberwood and going south to Murray Lane. Our first day of trash pickup for Franklin Road is tentatively scheduled for March 7th (Hillsboro Road will likely be on April 18th but more on that... later). The pickups will always happen on a Saturday and will take place approximately every other month. It should only take about 3 hours, and I would love to have as many volunteers as possible. The program will provide the supplies (reflective vests, garbage bags, gloves, etc). And Post & Co will provide coffee and juice and donuts and plenty of water. All we need are 10 volunteers to help us pick up litter. We will start at 9:30am and should be done no later than 12:30pm. This a GREAT chance to get involved and help keep our community looking beautiful! Please sign up for the March 7th pickup by emailing me at mike@postandcompany.com - thank you!